1. April 2 1865 General Lee withdrew his troops from Richmond, which opened the door for the Union to occupy it. 3. Lee was cut off in his effort to escape and with no other option asked to meet with General Grant to ask for terms of surrender. 4. 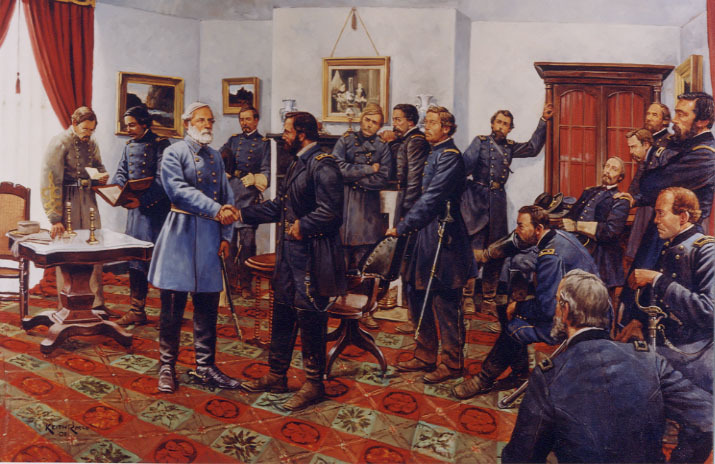 Lee met Grant in the Village of Appomattox Court House to discuss terms. e. All men would be paroled; none would be tried for treason.